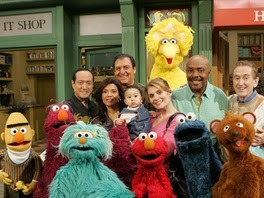 A few years back, Sesame Street ran a three-episode series on adoption. The episodes, in Season 37, are entitled “Gina Adopts a Baby” parts 1, 2, and 3, and are available for free viewing on Amazon Prime. It's available on Netflix streaming, too. Gina, a veterinarian, has decided to adopt a baby from Guatemala. The first episode visits her prior to her departure. She reflects on meeting her baby for the first time. Over the story arc, Gina shares about adoption with curious Sesame Street characters, travels to Guatemala with Maria (a friend who will translate for her), and returns back to Sesame Street with baby Marco. Upon her return, Gina’s friends are effusively welcoming, but she is able to express the need for some quiet time. As the last of her friends bids her goodbye, Gina is finally alone with Marco and is able to breathe. How Does This Connect to Adoption? The show reaffirms the value of asking questions. It’s healthiest when kids are allowed to ask – and receive answers to – the questions on their minds. Gina is surrounded by very supportive friends, and is able to express her needs to them as well. Gina hopes to have Marco speak both Spanish and English. It’s not certain that Gina’s learned any Spanish yet. Because Marco is pre-verbal, the focus of the episode is firmly on Gina and her friends. I think the episode is intended to help young children understand adoption; it will probably do that, but it might have been nice had the adoptee been a bit older, and able to speak first-person. There is no mention of Marco’s birth parents. spoiler alert: "yawn" starts with "y." It’s Sesame Street. Each hour-long episode leads off with 15 or 20 minutes of Gina’s story, and then proceeds to 40 minutes of talking about words that start with the letter “Y,” so even though I’m writing about three, hour-long episodes, you could watch the whole story arc in just about an hour. At their core, the episodes strike me as a good first introduction to adoption. Kids learn from stories, and having these episodes be part of a young child’s viewing rotation can be part of the process of normalizing adoption. The episodes are not a thorough, complete picture of adoption, but they do present a good place for kids to start learning about it. Think about watching this episode with your kids, 2-6. Gina and Marco are surrounded by friends. Why did Gina want to adopt a baby? What will Gina do for the baby? How did Gina’s friends feel about her adoption of Marco? As someone that is infertile, Christian, and hoping to adopt, the whole "meant for each other" thing is hard to deal with. I think that God works all things for good for those that love him. We all have free will, and some people choose to exercise that free will in negative manners that make it impossible to parent in a positive way. They make choices that reflect skewed priorities. I don't think that God made the children I someday adopt for me, but he when their birth parents made choices that made it unsafe for them to remain there, he led them to our family. When a child is adopted he changed something bad into something good. 1) I don't really know much about Guatemala, but I know in some countries, it isn't uncommon for there to be little to no information on the birth family. 2) I think that the target age for Sesame Street is pretty young to get into that topic. A three year old can (sort of) understand adoption, but might be a little worried about THEIR permanency if you start talking about birth families. For instance when I started doing foster care, I was going to tell the little girl I baby-sit that the kids' parents are sick (because they usually are, if addiction is an illness) but then I realized that she might worry that she would be removed if her mom and dad got sick. So I just told her that the kids' mom can't take good care of them right now, so they are staying with us until they can. Hi Rachel - Thanks for sharing these good thoughts. Like you, I think that God can redeem difficult, painful situations by creating something good out of something painful -- hopefully, creating good for all people involved. And I think that that is a healthier way to picture God's involvement in adoption than saying that God intended the adoption from the very beginning - that story really overlooks the value, free will, and importance of the child's birth parents. We're on the same page. It's good to speak to kids in age-appropriate ways about their birth parents; it sounds like you were able to effectively communicate with that child in a way that communicated the truth without confusing or worrying her. That's ideal! I don't think that 3 years old is too young to hear about birth parents -- birth parents should be part of a child's story from the very beginning, because it can help them fully own their life story -- but like you did with the girl you baby-sit, when we talk about birth parents, it needs to be in a way that's age appropriate for the kid we're talking to. 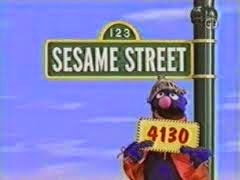 For Sesame Street's audience, it might have sounded like "Every kid has parents that grow them. Kids need parents to raise them, feed them, teach them. Sometimes it's the same parents that do both; sometimes it's different parents." It was still a good episode! Thanks again, so much, for reading & commenting, Rachel!